Kevin Klotz (M.M. ’02, D.M.A. ’15) completed both a master’s degree and a doctoral degree in choral conducting at the Moores School of Music. 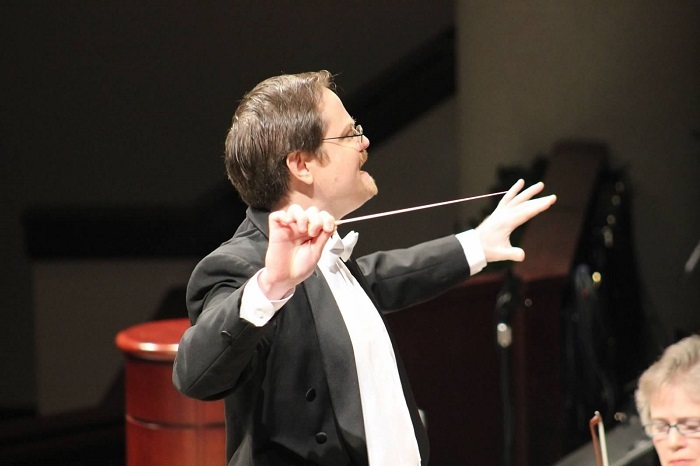 He has recently been appointed as the Artistic Director of the Houston Choral Society and the Director of Choirs at Wharton County Junior College. He spoke with the Lunar Cougar about two professors who inspired him and the Houston Choral Society’s fabulous upcoming season. LUNAR COUGAR: Tell me about your journey from undergraduate to where you are today. 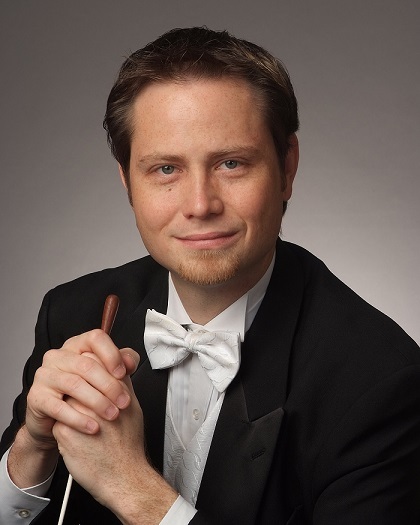 KEVIN KLOTZ: I began in 1999 as a piano performance major at Houston Baptist University. As soon as I arrived at my first class, I knew without a doubt that music was going to be my lifelong love and passion. I really enjoyed my classes in music theory, literature, history, as well as my piano and voice lessons. But, it was in my junior year that I settled on exactly what I wanted to do in music — I wanted to be a choral conductor! After completing my undergraduate degree at HBU, I decided to enroll in the graduate choral conducting program at the Moores School of Music at the University of Houston in 2001. It was here that I began to greatly develop my conducting technique and musicianship. In 2009, I returned to UH to begin a doctoral choral conducting degree. I was honored to receive a scholarship to serve as the Assistant Director of the Houston Symphony Chorus, under the direction my conducting teacher and mentor, Dr. Charles Hausmann. I further developed my conducting technique and refined my research and writing skills. My degree culminated in an extensive research study on the choral works of American composer Randall Thompson. Overall, from the undergraduate to the doctoral level, I was privileged to have the opportunity to learn from brilliant and inspirational teachers and to experience high-level musical performance. These experiences have had a profound influence on my development as a musician and person. I understand you have worked at St. Laurence Catholic Church for 16 years as the Music Minister/Choir Director. How did your education at UH help you to evolve as a Music Minister? After my undergraduate degree from HBU, I began working at St. Laurence Catholic Church in Sugar Land where I had the privilege to direct three of the choirs for Sunday masses. After I began my graduate degree studies at the University of Houston, I founded the St. Laurence Chamber Singers in 2002, an ensemble dedicated to the performance of sacred music. My education at the University of Houston has played a pivotal role in my vocation as Music Minister at St. Laurence Catholic Church. It is through my coursework and private conducting lessons that I gained valuable information on how to effectively build and develop a choir, lead rehearsals, teach vocal techniques, incorporate historical performance practices, etc. These skills have allowed me to better teach and lead others in my church choirs. What do you look forward to working on when you start your new role as the Artistic Director of the Houston Choral Society? I am very excited to serve as the Artistic Director of the Houston Choral Society, which is celebrating its 30th anniversary as one of Houston’s large community choruses! We have a fabulous concert season ahead. Some of the works include John Rutter’s Gloria, Handel’s Messiah, Randall Thompson’s Frostiana, and Mozart’s Coronation Mass. These are some of my favorite choral works; however, my list of favorites keeps growing! I look forward to a fantastic season and the many years ahead! What do you hope to accomplish as the Director of Choirs at Wharton County Junior College? I hope to grow a choral program that attracts students who desire quality music instruction and experience prior to entering a four-year college/university. I am looking forward to sharing my love and passion for music with my students and to inspiring the next generation of musicians. While there are many wonderful professors, two stand out for their great contribution to my academic study. I am very thankful to Dr. Charles Hausmann for his excellent instruction as a choral conducting teacher. Through him, I learned to develop my conducting gesture and further my understanding of score analysis and interpretation. Every week without fail, I looked forward to my conducting lessons with Dr. Hausmann; they were priceless! While these two professors played a special role in my success at UH, the entire music faculty contributed to my development as a musician and as a person. I am proud and honored to say that I received my Doctor of Musical Arts in Choral Conducting from the University of Houston! Don’t give up! Life gets busy, and it is easy to lose your focus. While you’re in school, learn as much as you can and immerse yourself in your craft. Go to concerts and dress rehearsals by your colleagues and other performers in town — observe and learn! I love that choral music is flourishing in our city. There are so many different types of choirs, ranging from church, school, professional, and community ensembles. It provides a hopeful message that Houston greatly values choral music, and it is here to stay. Of course, a night out at a choral concert is never complete without enjoying one of the great restaurants Houston has to offer. In addition to going to concerts and trying different restaurants, I love going to the movies, art exhibits, and baseball games. I also enjoy traveling to different places and checking out their local music scenes. Now with my doctoral studies complete, it is nice to have time to do all of these things again!